We wrote the following to help you get an idea of what you can expect while your child is swimming with us at the Stroke School. This is the very beginning of your swimmers adventure in the sport of swimming. 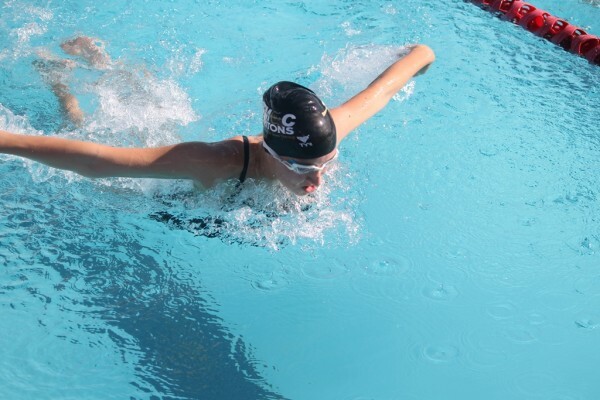 Even though your swimmer won’t be in Stroke School forever, the skills that they will learn here will serve them for the rest of their swimming career. TMEC is firm in it’s belief that technique should always come before endurance and speed. It is important to us that only swimmers who can demonstrate proper technique be advanced to the next group. This is to insure that your swimmer is ready for the skills that will follow. In the streamline, swimmers will learn to master the body position that our whole sport is based on, the streamline. A swimmers ability to learn to kick properly depends on their body position if a swimmer is not able to use proper body position chances are that swimmers feet will be deep in the water making it very difficult for the swimmer to learn to kick properly. Freestyle is a flat stroke swum on swimmers stomach where both arms pull in opposite direction, as the feet point backwards and kick in up/down motion (flutter kick). 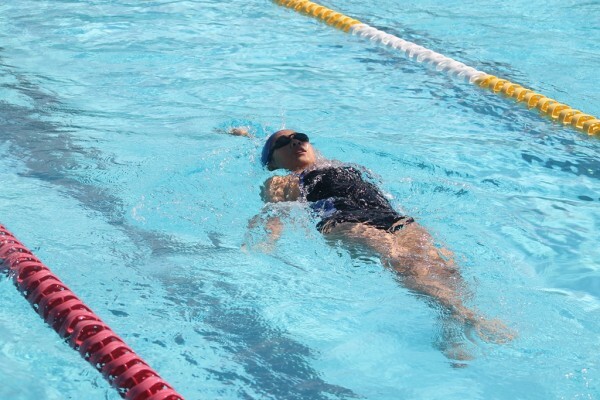 To breathe on this stroke the swimmer must tilt the head to the side (side breathing) every 3 - 4 stroke progressions. Backstroke is flat stroke swum on the back. Arms more in opposite direction while the feet are pointed backwards and moving in a up/down movement (flutter kick). Swimmers head is always back and still; with chin off chest and eyes on the sky. Breaststroke is a style of swimming on one's front, in which the arms are pushed forward and then swept back in a circular movement, while the legs are tucked in toward the body and then kicked out in a corresponding movement. The butterfly is a swimming stroke swum on the breast, with both arms moving simultaneously, accompanied by the butterfly kick (also known as the "dolphin kick") where the feet stay together moving in a up/down movement from the hips. There are five turns a swimmer must know to compete, these are Freestyle and Backstroke Flip turn, Butterfly and Breaststroke open turn, and Back to Breast open turn. Each turn has its own rules and standards for what makes them legal at a competitive level. The typical stroke school workout will go only 200-500 yards in 30 or 45 minutes. This is because the whole focus of the groups is on the stroke or skill that they are working on. 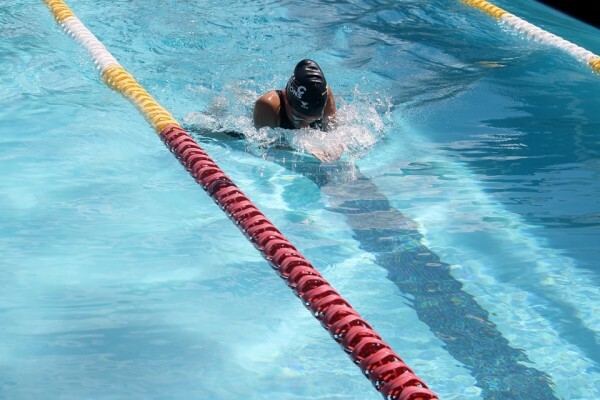 Don’t expect your swimmer to be getting in great shape from stroke school workouts although he/she will be setting a solid technical base and building valuable muscle memory for future competitive training. This technical base will insure the best possible results in speed in the future as well as reduce the risk of developing repetitive motion injuries from poor technique. 5 minute warm up – we try to keep this as short as possible while getting the swimmer blood moving and getting extra maintenance work on the previously mastered strokes. 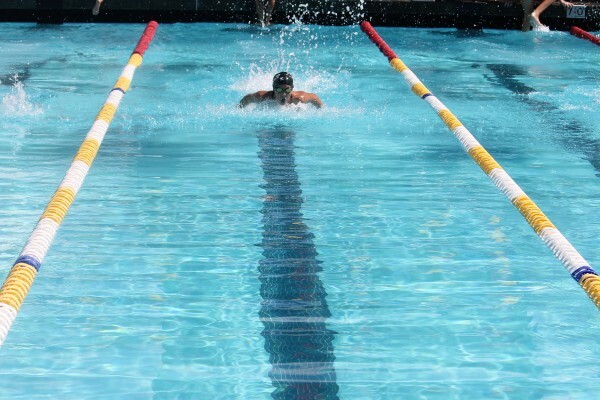 20 minute of drills building the stroke or skill – generally we will start to build the stroke from streamline then the kick and last the arms. Although a lot of the time we will simply pick up where we left of the previous day. 5 minutes of review – it is imperative that each swimmer brings the lessons learned in each workout to practice the next day. We will spend a good amount of time reviewing and reinforcing the same skills day after day. 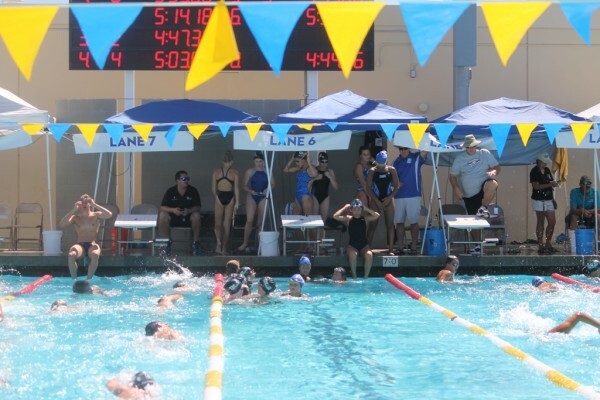 These workouts are kept short for a fast paced learning environment where swimmers might be getting out before they truly wish to, insuring that our swimmers will come back eager for practice the next day. We at TMEC feel that these short practices combined with a two week cycle stroke school system creates the most effective novice level learning environment.